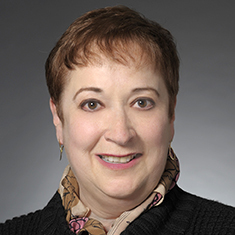 Renée M. Friedman devotes her practice to all aspects of public finance. She primarily handles financings for health care systems, cities, school districts, municipal utilities and nonprofit institutions involving both tax-exempt and taxable issues. She serves as bond counsel, underwriter's counsel, bank counsel and borrower's counsel in these financings. Renée has participated in a wide variety of financings throughout her career, including bond issues for building a cathedral in Oakland, a wind farm in Minnesota, a cardiology hospital in Wisconsin and children's museums in Illinois. Many of her institutional clients have relied upon her advice for more than 30 years. As a result of her work in debt finance, Renée has experience with a variety of derivative products as well as regulatory compliance. She often participates as a panelist or speaker at seminars on public finance topics. Shown below is a selection of Renee’s engagements.